Simpson Door is a door manufacturing company that operates out of McCleary, Washington. Simpson Door initially contacted WeAssistBots for a price estimate on a vision-based system that can identify a random stack of doors, place them on an automatic tape machine, and restack them in a finished pile after being taped. 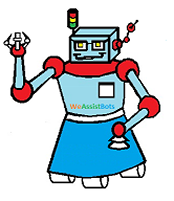 WeAssistBots ended up designing a simplistic way of using laser sensors and data manipulation to work around the complex use of vision. This provided an economic solution to a complex application. Simpson Door also wanted to have the ability for their operator to work directly with the robot. WeAssistBots accomplished this by turning this regular M900iA/260L Fanuc robot into a collaborative robot, smart enough to work directly with their operator. This was achieved by using standard external safety devices and Fanuc Dual Check Saftey (DCS) to allow safe operator interaction. Simpson Door now has a cobotic system than can identify any size door without the use of expensive vision system as well as safely work directly with their team members.